The glass encased gun rack was a fixture in many homes, the neighborhood fathers’ all hunters or WWII/Korean war veterans, or both. I cannot remember the first lesson I had on the safe use of a firearm, but I am fairly sure it was with my Dad’s old single shot, bolt action Remington 22 caliber rifle. The stock had been cut down when he was a boy, to better fit his small stature. Growing up, we matured into using shotguns for birds, rabbits, and deer. Then we graduated to higher caliber deer rifles. Some in the family hunted bigger game, and some even hunted bigger game with high powered pistols. What was consistent in the our upbringing, and the upbringing of all the young kids I knew, was exposure early to what a firearm was, what it was used for (whether it was hunting or sporting purposes), how it functioned, and the SAFE use of each and every one. The natural curiosity a child has for anything their parents do was addressed, as early as our parents felt we were able to understand. The opportunity for that curiosity to grow to the point where a child would seek access without permission never evolved, because we had already been allowed to learn, under supervision, the importance of safe handling and use. No, we weren’t out shooting while toddlers, but we did target shoot at, by today’s standards, very early ages. I can fondly recall going bird hunting with our fathers, my cousins and I, acting as bird dogs for the dove our fathers brought down. We soon graduated to smaller shotguns, dove hunting on our own. By the time we were ten years old or so it was common for us boys to go hunting together, without any adults, in the mountains behind my cousins’ home. Some of my best memories are long weekends, usually close to Christmas, when the parents would all get together and go to a dinner/dance, and my cousins and I would go off to the mountains to hunt. We’d be up in the woods, camping and hunting, for days at a time, with no one older than 14-16 years old. What is the point of this trip down memory lane? It’s not to pine for the days gone by, nor to compare growing up in the North versus the South (plenty of kids all over this great land had and are having similar childhoods). Rather, it is to point out and support the importance of responsible parents recognizing the need to educate their children as early as possible about the necessity of safety around firearms. Whether firearms exist in your home or not, your children will soon be out in the world, and a gun, improperly handled in someone else’s home or place of business, is just as dangerous. Kids need education about the purpose, function, and safe handling of a firearm as early as they can absorb it. Their curiosity will not be denied, and they will find a way to satisfy it. Let it be satisfied under your control, your direction, and guided by your morality to best keep them safe around any firearms, in your home or elsewhere. Any parent with even a little experience will tell you, you cannot keep things like the presence of a firearm in the home a “secret.” Sooner or later, and without any doubt, they will find it. If you don’t own a firearm, sooner or later your kids will be exposed to one, perhaps by an equally inexperienced friend. Don’t let them remain ignorant about the safety that is required in handling one. Proper education of your children in these matters will give them the confidence to recognize unsafe or improper handling of a firearm and the courage to walk away from it. We can choose to not have any firearms in our own home and decide that the ability to protect the home and family can wait. But we can’t control what happens in other families or other environments. We can, however, prepare our kids to be as safe as possible in the world as it is. 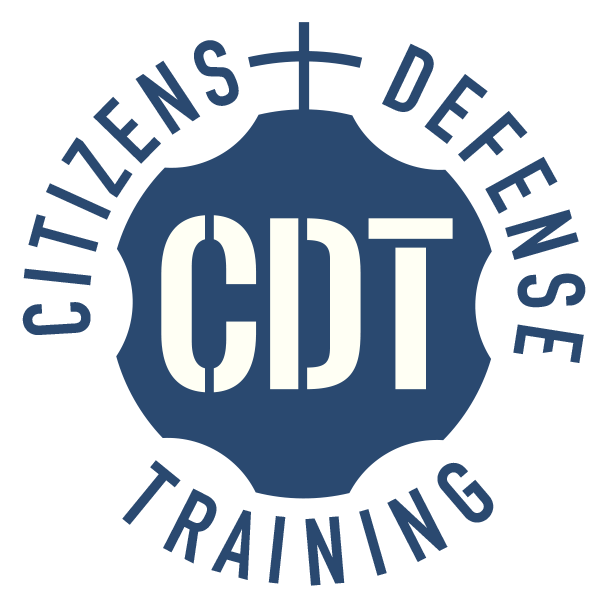 Parents of older children, if you don’t have the knowledge and experience to teach your kids, contact us at Citizens Defense Training and we’ll get you started on the safe and proper use.